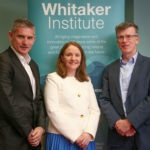 Niamh Reilly is Established Professor of Political Science and Sociology at the National University of Ireland, Galway. Her research interests focus on the relationship between theory and practice and the role of ideas in emancipatory projects. She is currently writing a book on the political and social thought of Thomas Kettle (1880-1916) - essayist, activist public intellectual, and one of the last "young Ireland" constitutional nationalists. She has published widely on issues of human rights and gender; feminist political and social theory; religion in the public sphere; transnational movements and the United Nations; and women, peace and security. Her book, Women's Human Rights: Seeking Gender Justice in a Globalizing Age (Polity Press, 2009) was selected as an "Outstanding Academic Title for 2010" by the American Library Association/CHOICE. She is co-author of Demanding Accountability: The Global Campaign and Vienna Tribunal for Women's Human Rights (UNIFEM 1994). Her edited collections include Religion, Gender and the Public Sphere (Routledge 2014) (Lead editor) and The Human Rights of Women (Springer, Major Reference Works, 2019). Niamh is co-founder (with Dr. Breda Gray) the NUI Galway-UL research network Gender Arc. She is currently Irish PI in a seven-country study on migration and vulnerability to gender based violence funded by EU Gender Net Plus (2019-2021). (2009) Womens Human Rights: Seeking Gender Justice in a Globalizing Age. (2014) Womens Leadership and Participation in the Peace, Security and Cooperation Framework for the Democratic Republic of the Congo and the Great Lakes Region: Achievements, Challenges, and Opportunities. (2011) Irelands National Action Plan for Implementation of UNSCR 1325, 2011 - 2014. (1997) Local and Global Perspectives: Women's Rights as Human Rights. Strategies and Analyses from the ICCL Working Conference on Womens Rights as Human Rights. (2010) Irelands National Action Plan  UNSCR 1325,. (Hannas House Summer School), University of Ulster, Belfast. (2007) Rising Fundamentalisms and Womens Human Rights. Socio-legal Studies Association Conference. (2004) Womens Rights as Human Rights: An Unfinished Agenda?. Irish Human Rights Commission public consultation. (2002) Advancing Womens Human Rights at the United Nations: The Challenges of Implementation. Equality Studies Public Lecture Series. (2000) The World Wide Web as a Tool for Womens Human Rights Activism. Round Table Discussion hosted by the UNDP as part of the parallel proceedings of the Beijing Plus Five Review. (2000) Womens Rights as Human Rights: A Framework for Local Action. annual conference of Banulacht; Women in Development Network. (2005) Stop Violence against Women Campaign 2005-2010: Mapping External Challenges and Opportunities. Internal discussion paper prepared for Amnesty International.